Emtonjeni Country Lodge is a thatched roof manor situated on the Southern side just outside Bloemfontein. Nestled in a safe country environment with easy access from the N1 Highway and Sun International Windmill Casino, this venue offers a friendly stop-over for tourists and corporate travellers. The Lodge is also a bird lovers dream with many bird species living in the beautiful garden complimented by a large pool. 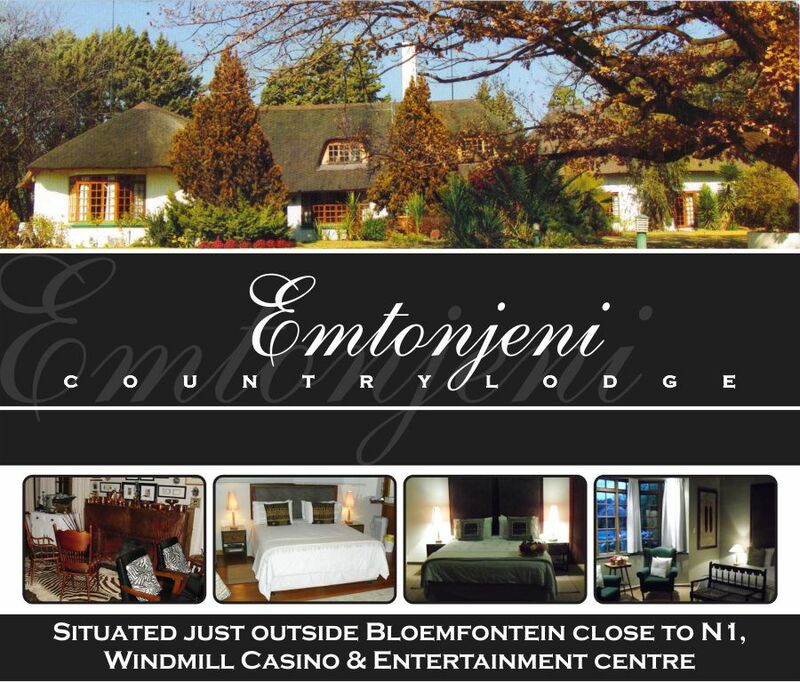 Emtonjeni Country Lodge also hosts small functions and weddings with a licensed bar. A scrumptious farm style breakfast is served (dinner on request). Braai facilities are also offered. Copyright 2010 © Emtonjeni Country Lodge. All rights reserved. copied or reproduced without Emtonjeni’s permission.